Is Spanish government plundering power companies? 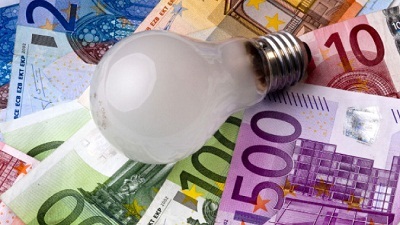 Is the Spanish government plundering power companies? By Juan Pedro Marín Arrese, in Madrid | Year after year, electricity prices have been reined back below recognised costs, building up a deficit running now at €24 billion. This huge hole turned into a right to be paid back in future has suddenly been put in jeopardy. No wonder power companies are talking about daylight robbery. Are they justified in venting their anger on government? One can understand the wish to put an end to such a huge burden from the past. Should it feed into price rises, it would spark off inflationary bouts and throttle competitiveness. But breaking down firm commitments doesn’t contribute to legal certainty or to investors’ confidence. It also wreaks havoc on balance sheets and electricity sector capacity to roll-over sizeable amounts of indebtedness cumulated on the assurance to get the money back, a feeling shared by those holding issued rights in their portfolios. Stakes are so high that some middle-of-the-road solution is bound to emerge. The uproar raised by curtailed rights prospects conceals the more relevant question on whether the deficit as such is justified. If we put to scrutiny any electricity bill, we are faced with most disturbing facts. When switching to a liberalised market back in 1996, power companies were recognised asset amortisation far beyond any reasonable measure. Consumers and enterprises have been paying power stations fully written down, on top of indemnities for nuclear stand-off more than covering actual incurred costs. The flaw lies in these grossly over-inflated recognised costs. Trimming them down the sooner the better would be the safest way to put the electricity market on trail. As they stand now, the so-called rights act as effective barriers to deter new entrants into the power market. The Spanish government should get rid of them to prop up competition in future, instead of focusing on the past. * Juan Pedro Marín Arrese is an economist. Be the first to comment on "Is the Spanish government plundering power companies?"